Hey all - I'll be in Newport Beach for a few weeks over Christmas. 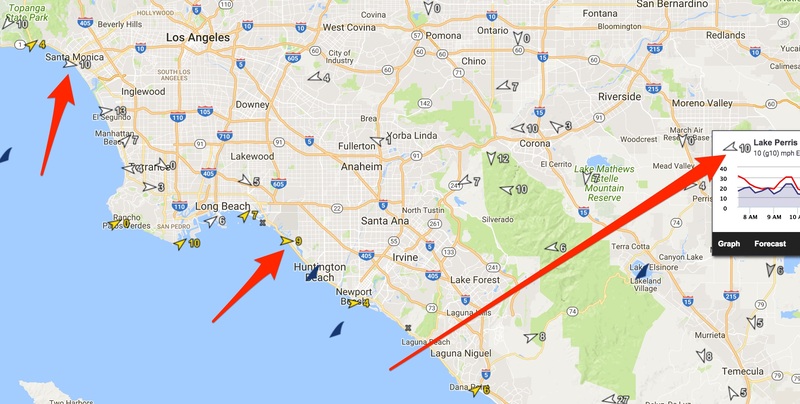 I have sailed the LA area in the summer quite a few times (Cabrillo mainly), but what is the usual setup in the winter? I assume that nice thermal at Cabrillo doesn't automatically happen in winter? 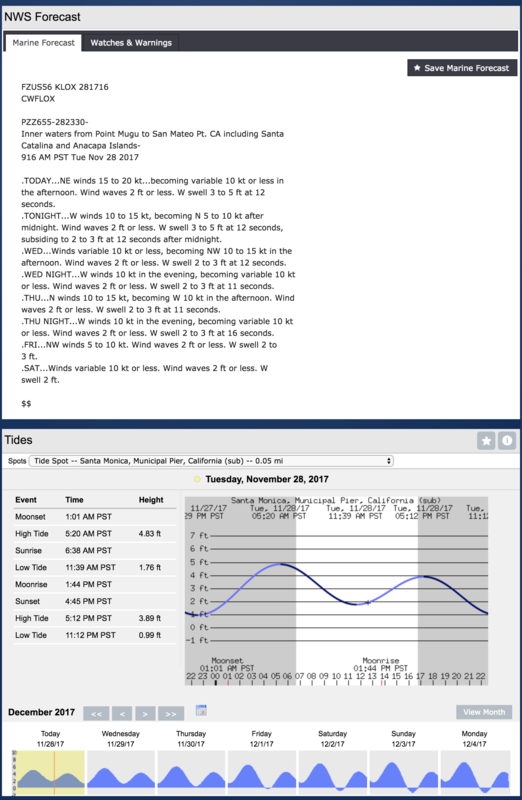 The iwindsurf pro forecast seems to not be in season now, so where do you guys look for good wind forecasts. Do you just use the plus forecast? Also, does anyone have any experience windsurfing in either Newport or Huntington beaches. Once, a few years ago, I was there in winter and a cold front blew through and one guy sailed the North side of Newport Pier in 25-30 mph onshore winds. I had no gear and was really jealous as he was ripping it up!! Anyway, has anyone sailed elsewhere around there. Thanks much. Kevin Kan would know better, as he lived in LA. I've sailed Bolca 3 times on Santa Anas. Bring floaty board and hula skills. Also clearing NW Gladstones for long outside the surf reaches past Manhattan. Secos is often too light on the inside in Nw clearing winds. Better at Jalama or K-40. I just sailed at county line today. 5.0 head high, and a lot of fun. Clearing or pre frontal conditions only until March. Then it can rock. Trance_Dude, watch Lake Perris which can be fun in the AMs on big Santa Ana wind days. The Pritchard Brothers used to sail all the time there! These pages, above, for the coastal spots include the NWS text forecast, which is helpful. Thanks guys. I didn't realize Bolsa Chica was in Huntington. Awesome, that will be close to me. Well, hopefully it gets windy at some point!! there are some spots near Newport. This time of year it's basically NW learning winds and Santa Anas. You can also drive out to Lake Perris on a strong Santa Ana. Probably the closest and most commonly sailed spots to Newport are Seal Beach and Sunset Beach. About an hour north is Cabrillo Beach. I've actually also sailed strong Santa Anas at Torrance Beach and Seal Beach. Wind that time of year is really hit or miss, but I got lucky several years in a row. I have 30 years chasing wind in So Cal. Winter winds are very hard to find. i would tell that if you have a surf board or a set of golf clubs, bring them. That said, if your thinking beach and waves, look for post front clearing winds. It can be windy but mostly short in duration. If the Santa Anna wind is blowing, it might be windy at the beach sites but off shore. It can die very fast and leave you a long swim if you venture very far out. These winds can be from the north all the way to from the east. If they are north head to lake Elsinore. NE to E go to Lake Perris. There could be no a mile from the lake and 5.0 up on the water. Or dead calm when you pull in and raging in 10 min. look for dust in the banning pass when your near the lake. This can indicate wind on the way. Also check national weather service airport sites for Banning and Beaumont for east winds. Thanks for the input guys. I'm going out just prior to Xmas and staying through the 30ty. If there is wind I'll post here again but please let me know if you guys sail anywhere. I'm actually on the Cabrillo whatsapp chat and people seem to post there so I'll keep an eye on that as well. Hope we can sail somewhere! BTW, where I'm staying is near the wedge in Newport Beach. Obviously you can't sail that break but is it possible to sail further down the beach, or outside? Wonder if anyone has done it? Newport is small wave shorepound thru the winter months unless a rare S swell occurs. Mostly, you're looking for SantaAna offshores there' so don't sail out farther than you can drag your gear back in. Doesn't work on post storm winds. For post rain clearing winds, head N.